How much difference between 80/20 foiled and symmetrical foiled rear quad fins? For a short fattish rounded pin _ sorta hypto krypto like shape. The rear Futures boxes are McKee-ish placed. For waist to head high surfing. Bombo - unless you rip the fcuking bag out of it, i believe asking this question may be construed as somewhat superfluous. 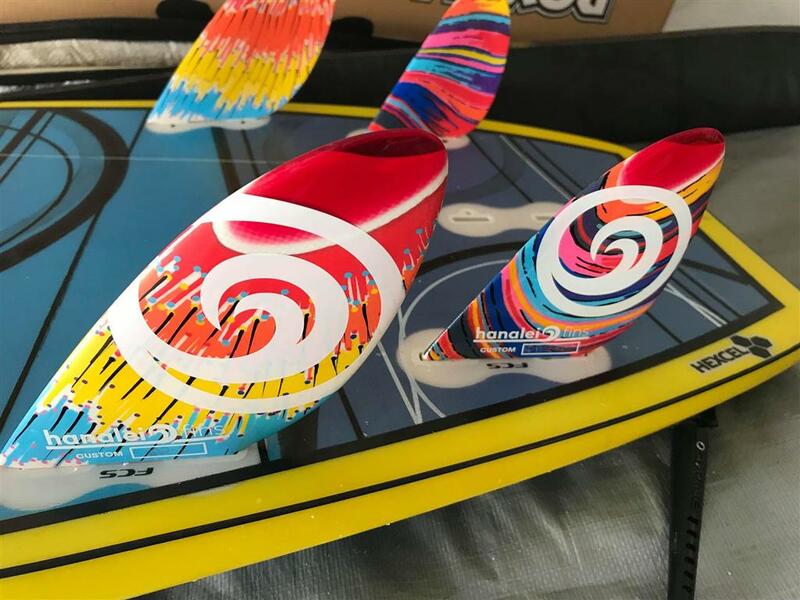 Not saying you don't surf well and can feel the subtlety of an 80/20 foil in the rear quads but fcuk me, i think plastic fins go ok, quads or whatever. Main difference in fins for mine is little, big and bigger and do they look good? The rest of that mine-field of fcuking bamboozling fin chicanery can fcuk right off. Are you wired in so hard you think you will feel the difference between an even foiled rear set of quads and an 80/20 set? If so, more power to you. Big, bigger, biggest. Yep. Try changing the size of the trailing fin if you want to see some difference..,....or take it out. Scroll down past the fin construction info, and you'll find an explanation on foil. Bruce McKee's stringer-centric quad concept has traditionally used 50/50 rears. total fin area is the primary consideration. I can''t feel a diff between 50/50 and 80/20 but there is a huge difference in single foiled rears.......very knifey and less forgiving/smooth. Thanks all, and yep Mr Duck was wondering as an average Joe if I'd really feel any difference. Use FCS GXQs with 80/20 on a Simon rounded pin and enjoy but board I'm looking at has Futures and noticed many of their rear quads are symmetrical foiled. Had a HP swallow tail quad years and years ago with flat foiled rears and didn't like. So according to this flat foiled rears in a quad will make it faster and less stable? I've had a five fin set of these for a month or so now. Very happy with them, in both the quad and tri setups. Inside foil with flipped tips. 50-50 foil for McKee setup, single foiled for Stretch setup.